HUNTSVILLE, Ala., Sept. 27, 2010 -- Northrop Grumman Corporation (NYSE:NOC) and The Boeing Company (NYSE:BA) today announced a strategic partnership to pursue the competitive contract for the U.S. Missile Defense Agency (MDA) Objective Simulation Framework (OSF) that will integrate the MDA's modeling and simulation architectures. "The MDA has an essential need to more efficiently validate Ballistic Missile Defense System (BMDS) performance through the increased use of modeling and simulation," said Karen Williams, vice president of Air and Missile Defense Systems for Northrop Grumman's Information Systems sector. "This partnership will provide the MDA with the best value and lowest risk approach to successfully develop and apply a comprehensive simulation framework toward that objective. "Our team brings unsurpassed expertise across the full-spectrum of modeling and simulation domains, a comprehensive knowledge of the BMDS and experience in applying modeling and simulation tools across all the OSF use cases. The strategic partnership will allow us to bring our combined strengths, synergies and focus to this critical MDA program," added Williams. 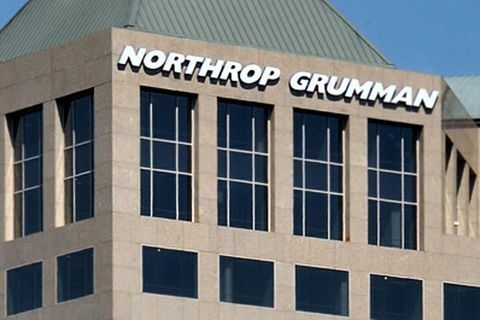 In leading the Northrop Grumman-Boeing team, Northrop Grumman will draw on its experience as a leader of the modeling and simulation community for the MDA since 1995. As the prime contractor of the Joint National Integration Center Research and Development Contract (JRDC), Northrop Grumman has led a world-class team to conduct BMDS-level modeling and simulation, ground and flight tests, wargames, exercises, analysis and operational training in Colorado Springs, Co., Huntsville, Ala., and other locations. Boeing brings decades of experience in developing modular, scalable, maintainable and reconfigurable missile defense modeling and simulation products that focus on satisfying the full range of MDA and warfighter requirements. "This partnership builds on our well-established relationship successfully executing the Ground-based Midcourse Defense program over the past 12 years as well as our years of experience in modeling and simulation development and execution," said Greg Hyslop, vice president and general manager of Boeing Strategic Missile and Defense Systems. "We look forward to working side by side with Northrop Grumman to deliver this important capability to our MDA customer." Northrop Grumman and Boeing are the principal developers of the MDA's current modeling and simulation frameworks consisting of the Digital Simulation Architecture (digital) and the Single Stimulation Framework (hardware-in-the-loop). The OSF program will enhance and integrate these current frameworks that incorporate models from each of the BMDS program elements into a system that accurately represents the performance of fielded BMDS equipment against a variety of threats in realistic environments. OSF is expected to be awarded in May 2011 as an indefinite delivery/indefinite quantity contract with an estimated program value of $850 million. The procurement will be managed by the Missile Defense Agency, Redstone Arsenal, Ala. The BMDS is a complex system of sensors, interceptors and a command and control, battle management and communications network. The integration of these many elements will enable a robust, layered defense to defend against a hostile missile in all phases of flight.